Come join me this Friday for some yoga!!! I’ll be teaching my very FIRST yoga class on Friday March 3rd, 2017 at 2:30-3:30 pm at the Savannah Yoga Center! 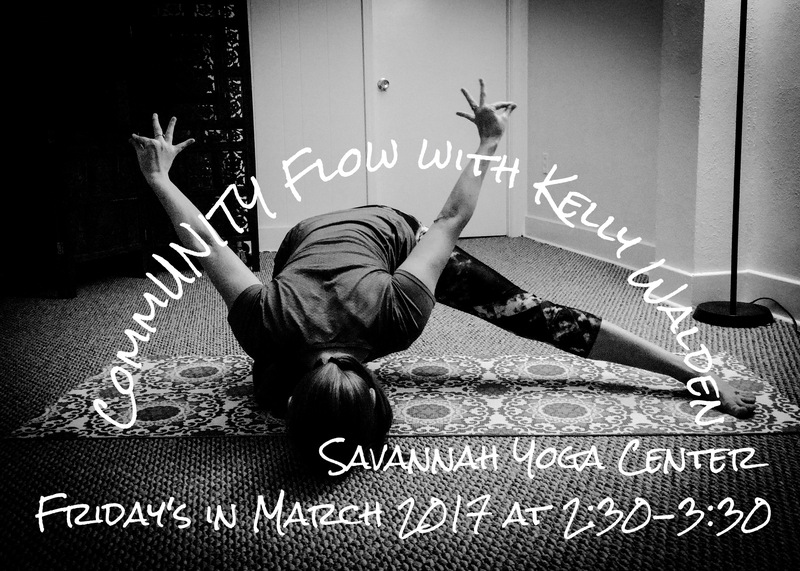 It’s a CommUNITY Flow class that only costs $7 dollars in cash…where ALL of the proceeds will go to our commUNITY partners at the Savannah Tree Foundation. This Friday’s theme is inspired by the Benu Bird. In Greek mythology the Benu Bird is like a Phoenix. It regenerates from itself by burning away the old Bird for a new Bird to rise from the ashes. Close your eyes and imagine seeing yourself in front of you…your divine soul standing right there in front of you…maybe you have had a disconnect from your divine soul and long to be one with it again. I can assure you though, it has been inside of you all along and you have always been one. But sometimes we can feel like we are disconnected…and in those times, we have to hunt down that divine soul, catch it, and experience rebirth. Join me in that hunt to return to self! P.S. Every Friday in the month of March 2017 I’ll be teaching yoga at the Savannah Yoga Center in the CommUNITY Flow class at 2:30-3:30 pm! Come see me!